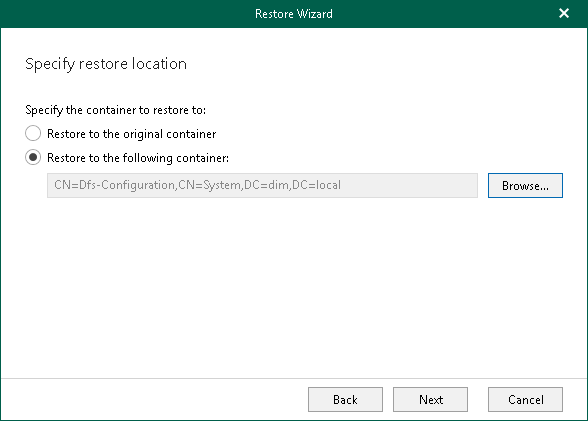 At this step of the wizard, select a container to which you want to restore the objects. 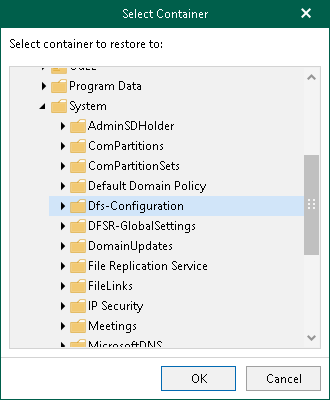 Restore to the original container. To restore data to the original container in your production environment. Restore to the following container. To select a different container, as described in Browsing Container. If a container that is being restored was not found in the production environment, it will be restored anew. To select a different container, click Browse and choose a container you want to use.